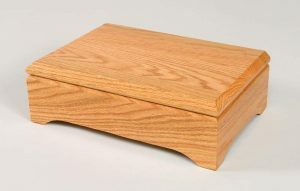 Our American Furniture Amish hand crafted solid wood jewelry boxes are made to last a lifetime and pass to the next generation! 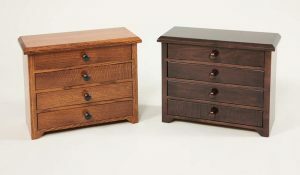 Choose your wood type and stain and let our Amish master craftsmen build you a jewelry box to treasure! 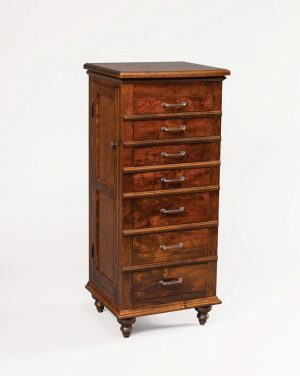 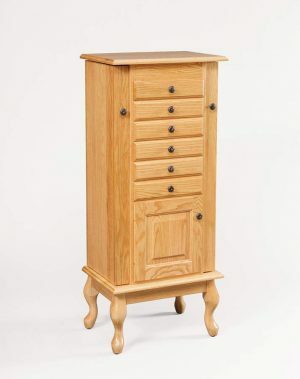 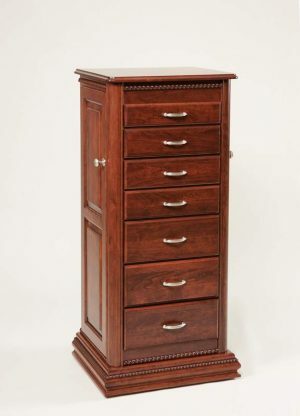 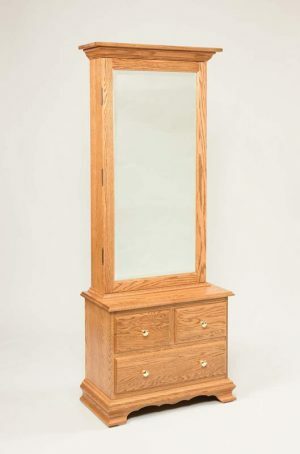 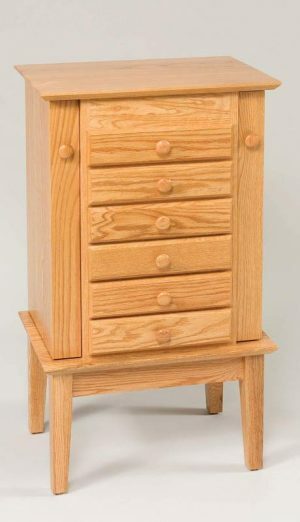 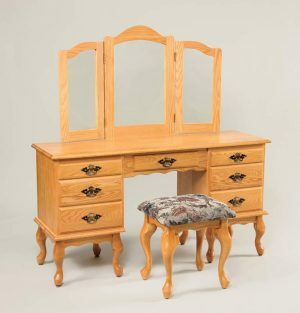 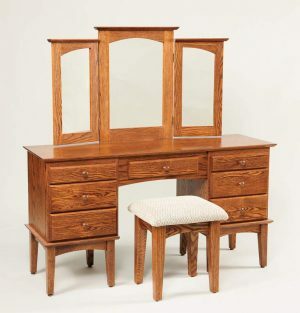 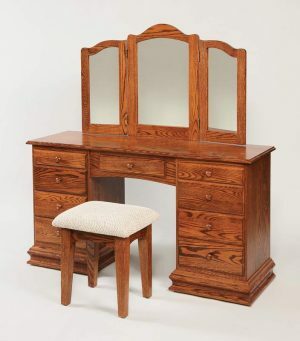 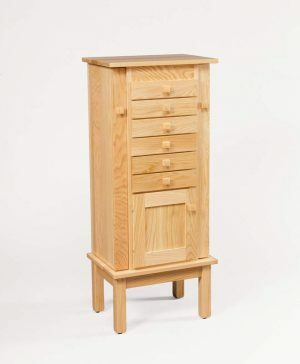 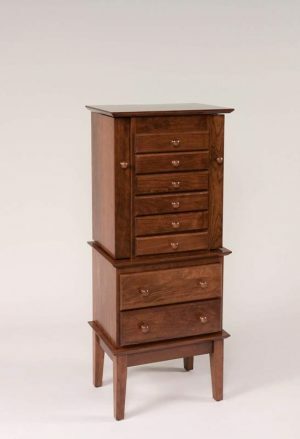 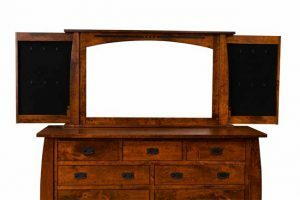 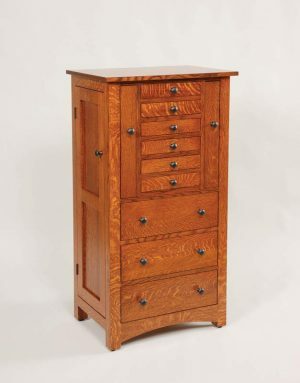 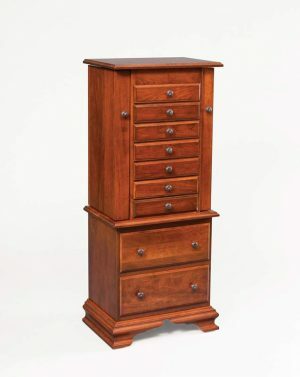 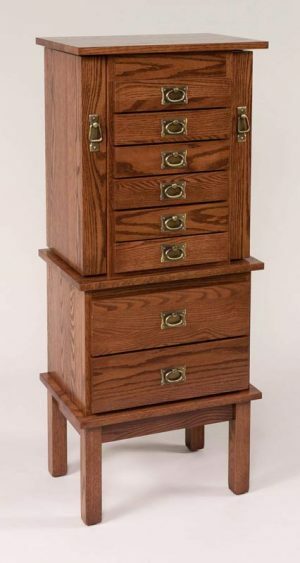 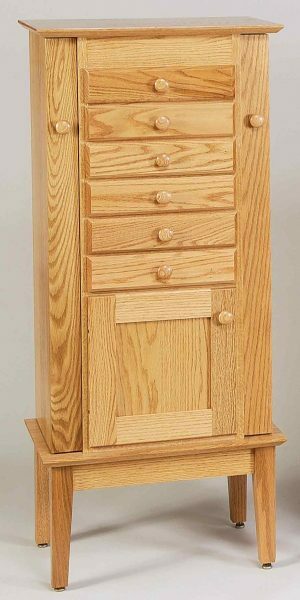 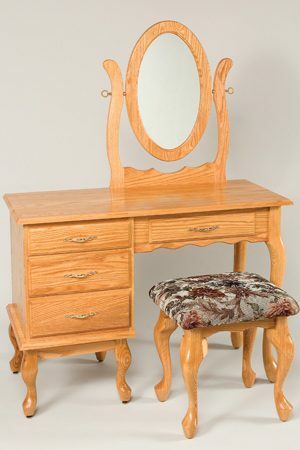 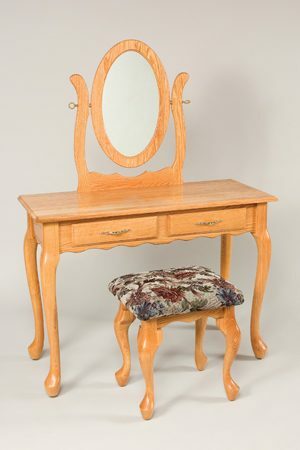 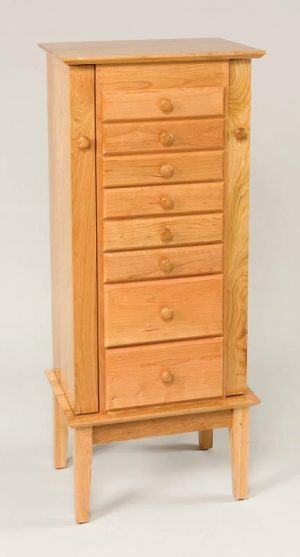 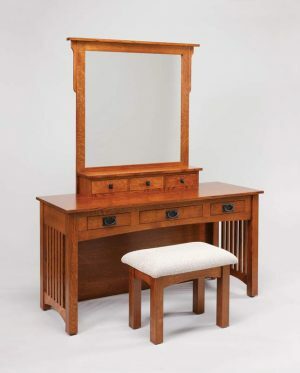 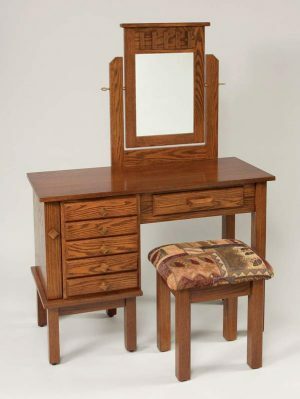 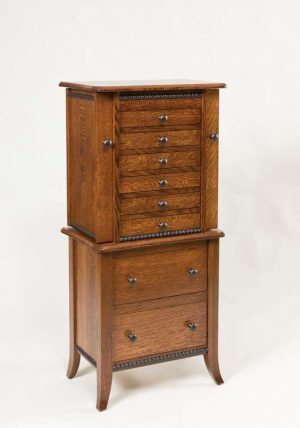 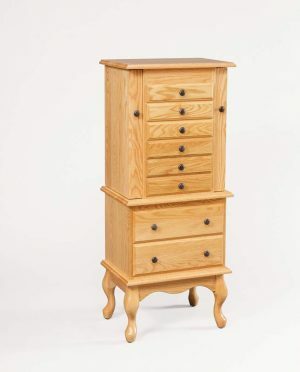 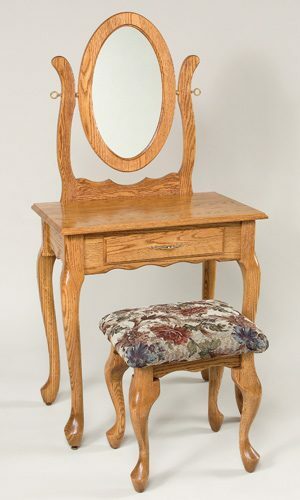 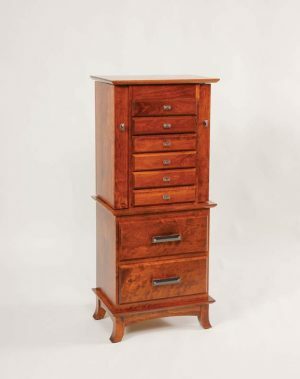 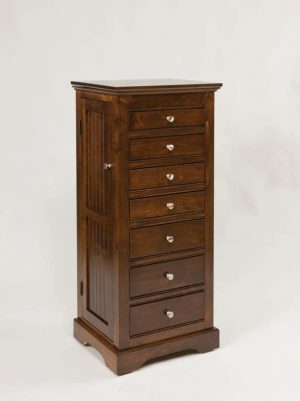 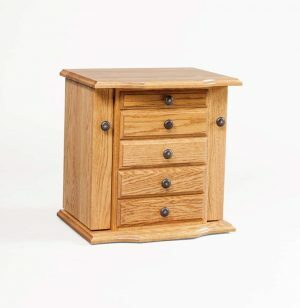 Many jewelry box sizes are available, including the free standing jewelry box and the dresser top jewelry box. 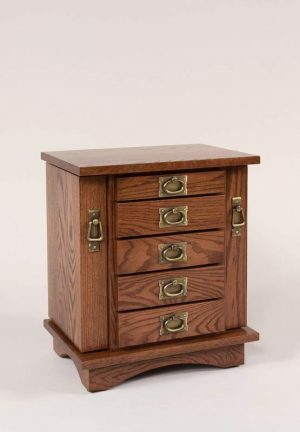 We also carry a line of hidden wall mounted jewelry boxes with sliding doors, but you will need to visit our retail store to view these items. 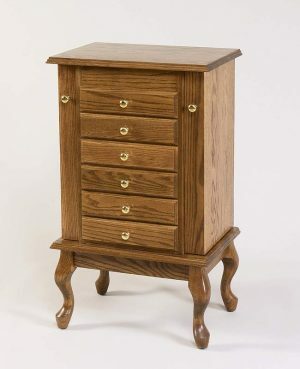 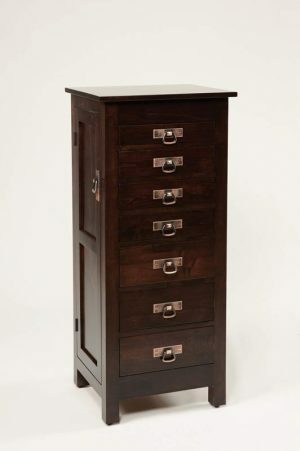 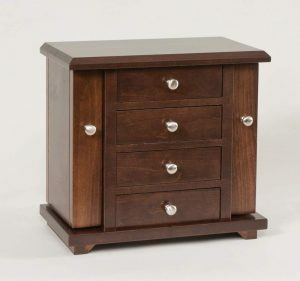 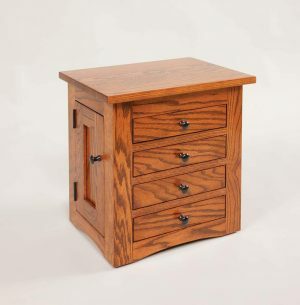 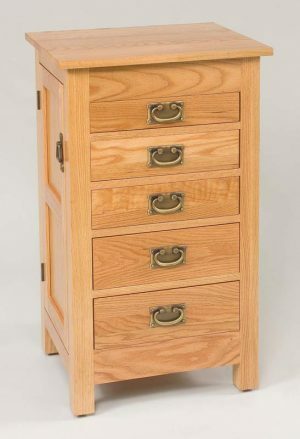 All of our solid wood jewelry boxes have dovetail drawer box design and most drawers have a felt lining. 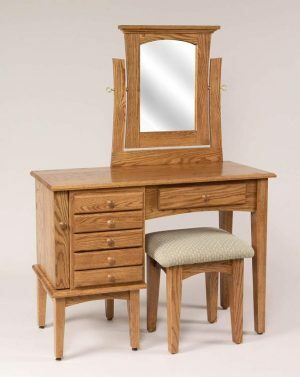 You can choose your hardware, but the standards shown in the photo.